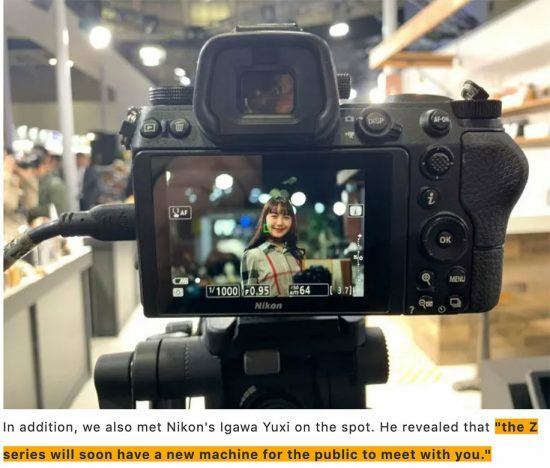 At the CP+ show in Japan a Nikon executive confirmed that a new Z series camera designed for consumers will be coming soon. This will most likely be a low-price model similar to the Canon EOS RP (priced at $1,299). 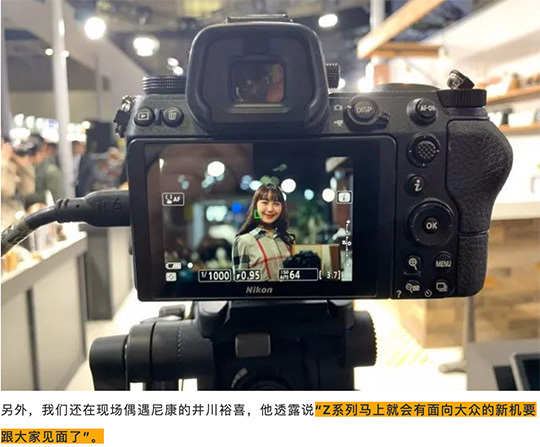 In previous interviews, Nikon executives have already mentioned that there will be Z mirrorless camera models below the Z6. This entry was posted in Nikon Z1, Nikon Z5 and tagged Nikon Z5 camera rumors. Bookmark the permalink. Trackbacks are closed, but you can post a comment.